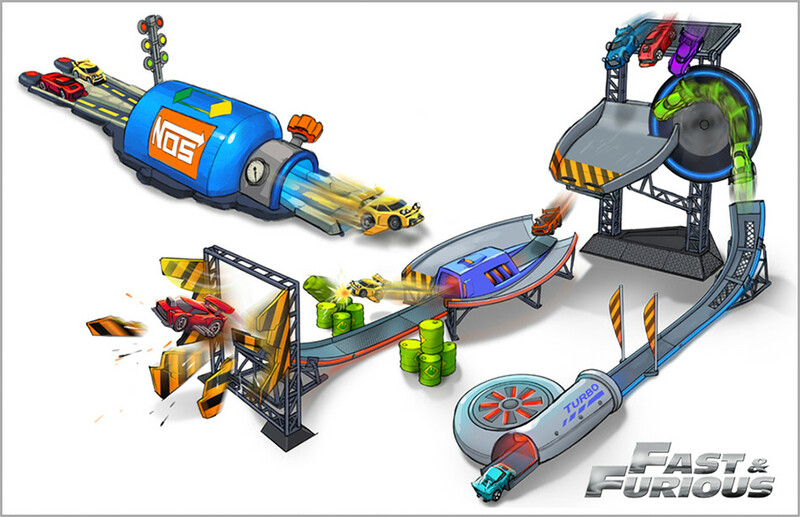 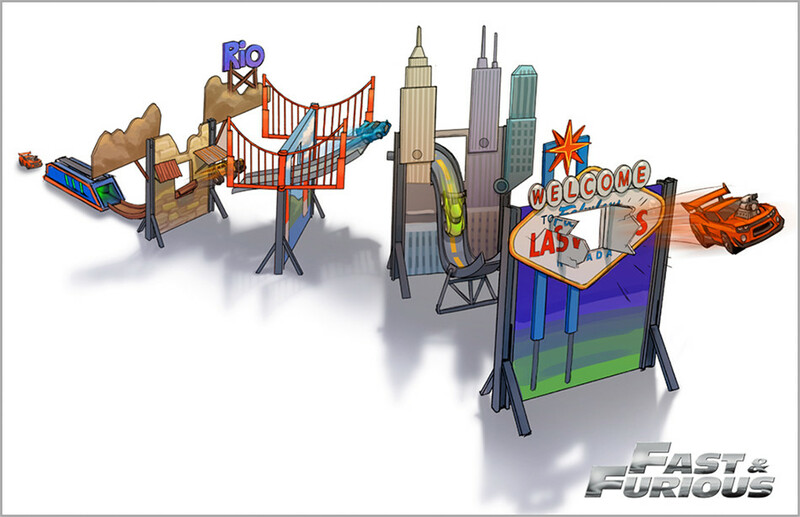 Loosely based on the Fast and Furious franchise, we were asked by Hasbro to help with the product design and development of 4 interactive racing track sets that would take cool to an all new level. 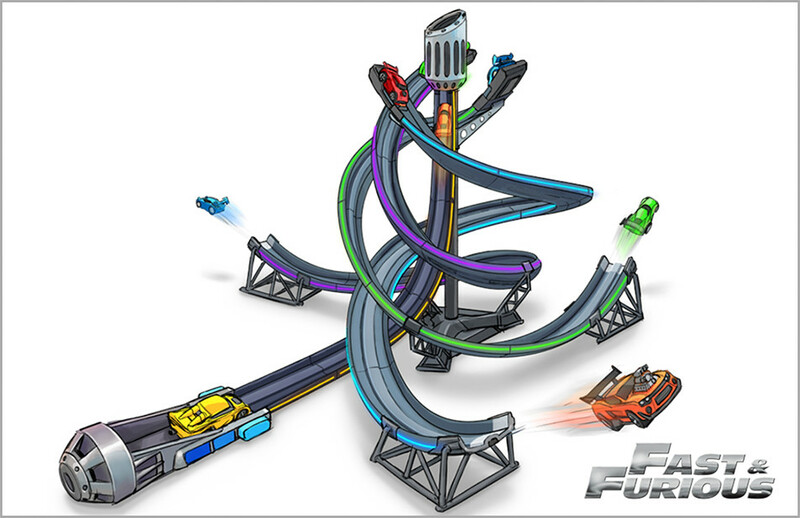 Cars busting through barriers, racing through loops, using nitrous to propel your car to ultrafast speeds, and challenging your auto racing rival to a do or die death roll. 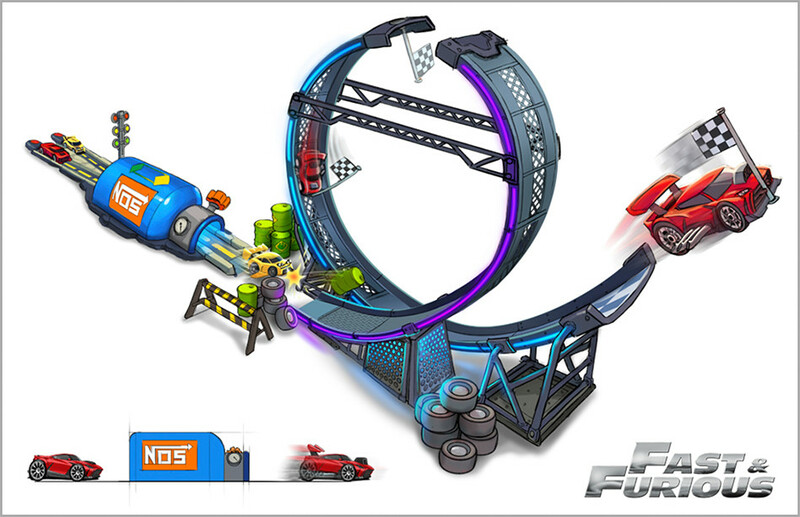 Whichever thrilling match you choose; you are sure to walk away feeling like the ultimate racing champion.